Though big data is on the rise in many industries, it has only begun to scratch the surface within the health sector. In this episode of Mastering Innovation on Sirius XM Channel 132, Business Radio Powered by The Wharton School, guest Sheila Talton, President & CEO of Gray Matter Analytics, discussed the applications of data and artificial intelligence in addressing widespread inefficiencies within healthcare. The sheer number of parties involved makes it difficult for the disjointed U.S. healthcare system to operate efficiently. While both providers and payers aim to act in patients’ best interests, the misalignment of data access and financial incentives can often cause conflicts. Talton discussed how Gray Matter works to collect data at different touch points, whether during regular physicals, emergency care visits, or post-acute treatment. The firm then centralizes that data into a digestible and useful format for the entire healthcare network to access. Though many healthcare providers are working over capacity and are accustomed to on-premise data storage, Talton explained that the trend of digital cloud services across other major industries has shifted demand toward their services. Nicolaj Siggelkow: What are some of the inefficiencies in the healthcare system that your company tries to resolve or reduce? Sheila Talton: The first thing that we have focused on with our solution is giving transparency and visibility to the health providers around their reimbursements. One of the things that happened roughly four years ago is Medicare or CMS, which is the government entity that oversees Medicare, decided to start moving the providers closer to what’s called value-based care, which means assigning quality metrics that will determine your level of reimbursement. Most of the time, when a provider submits their data at the end of the year, roughly 2-3%, sometimes 5%, is taken away from their normal reimbursements all through the course of the year. At the end of the year, they submit all of the outcomes of various different types of clinical procedures that they’ve performed on patients. Medicare has assigned quality metrics for all these different quality procedures. When they submit their data, they will find out, sometimes a year later, that either A, they get higher reimbursement because their quality metrics are in the upper quartile, or B, they get penalized additional millions of dollars because their quality metrics have degraded. Our solution tells a health provider every day where their quality metrics are and what impact it will have on their reimbursements, not just from Medicare, but from all of their payers. Siggelkow: Right. Are other payers going along in a similar direction? Talton: Yes. They sat on the sidelines and watched the bigger of the payers, CMS, and they said, “Oh, well, we could have quality metrics, too.” This has caused a lot of problems for hospitals and physicians because not only are they managing the metrics from Medicare, they’re also managing the metrics from every one of their payers. Siggelkow: Do they agree on those metrics, or does every payer now have their own set of metrics? Talton: That’s the beautiful thing about our solution. We show, through doing multivariate analysis, where some of these metrics might be actually in conflict. No, they don’t agree, and that’s another one of the inefficiencies in the overall system. Now, these metrics have been targeted towards hospitals and hospital systems. They don’t touch the post-acute care. If you have a knee replacement, you would be assigned to a post-acute or physical therapy, but they don’t have metrics. So, my readmission for my knee replacement could be something that didn’t happen in physical therapy or in post-acute care. It’s really complicated for health providers. Siggelkow: What’s the time lag here? How long out are they looking at outcomes? Talton: They submit their data on an annual basis, but it could sometimes take up to a year later for them to know where they’re actually going to land, whether they’re going to have more money from the reimbursements or be penalized. Siggelkow: Now, I could imagine collecting all of this data is also a huge cost for the providers. Talton: It is a huge cost. To be honest, one of the reasons why we had to create a software platform in the cloud is because all of the data in most health systems is very disjointed. These systems were installed in what we call silos, and as a result of that, it’s very hard to integrate and aggregate the data. What we do is push it onto our platform and get it what we call analytics-ready, and then we’re able to use our algorithms on the platform to give them the feedback and read-out of where their metrics are trending. Siggelkow: Where does all this data come from? We often talk about big data, but this data needs to be generated somewhere. If it’s an automatic sensor, that’s easy, but if it’s people having to input data, or seeing and agreeing how well a patient is doing, that in itself is quite a challenge, isn’t it? Talton: That is quite a challenge. I would also say, we hear the term big data, but to be honest, we’ve not even begun to collect all the data that health systems will be collecting in the future. To give you an example: many of us are trying to be healthier, and we’re wearing Fitbits as we exercise. That’s data that’s not being collected today in health, but in the future, it will be. Today, most of the data is generated from your physician when you go in for your physical procedure or the activities that happen to you if you happen to be hospitalized. It’s all the drugs that you’ve taken, all the tests that have been performed on you, and all the vital statistics that they’re measuring while you’re in the health system. But, all of this data doesn’t go into the same repository. That’s what makes it a challenge. The radiology systems don’t talk to the electronic medical records system, who don’t talk to the discharge system or the emergency room system, so it’s all very disjointed. Siggelkow: One thing you said is, we are helping the providers to understand, in some sense, how well they are doing along those metrics, so that they have some idea of whether they get reimbursed or penalized. Are the healthcare systems then learning from that data and saying, “Oh, this actually is or is not working?” Is there some feedback loop? Talton: Yes, there is. One of the biggest benefits besides the reimbursement is the transparency that is provided to the physicians. Physicians want to do the right thing. They want to make their patients better, and they want to do it at the lowest possible cost without jeopardizing the quality of care. Oftentimes, when physicians just see that some of their coworkers are using different types of anesthetics or medical devices and that their cost of care could be reduced with the same outcomes, it has a phenomenal impact in a lot of institutions. Siggelkow: We can distinguish between two different kind of inefficiencies. One is, “Can we give the same service, but at a lower cost?” The other one would be, “Could we give an even better service without raising the cost?” Can you give us some examples of either of those two? Talton: When you talk about the same type of service and lowering the cost, there is the example that I just gave around different types of drugs that are used and the level of support in a procedure. For example, there might be some physicians that, in the course of doing a knee or hip replacement, have more nursing staff support in the operating room, just because that’s how they feel comfortable. In some cases, some physicians might be using different levels of nursing staff and support, but they also have different ways of monitoring the patient, types of medical devices, amounts of anesthetics, or lengths of stay. Overall, these could lower the costs. Sheila Talton is a Big Data strategist with more than 30 years of experience in helping organizations increase value, build successful businesses within larger companies and expand into emerging markets. She is recognized for her expertise in developing bold initiatives, whether that is through public/private partnerships melding company strategies with governmental objectives, obtaining buy-in for consulting services within technology product companies, or breaking down silos to build services around products to create solutions that increase customer value. 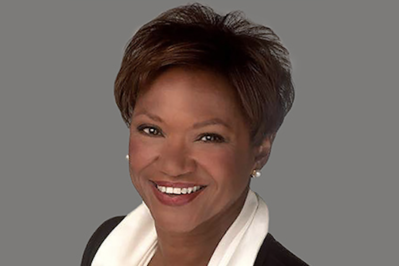 Her experience in governance extends to corporate, civic and not-for-profit sectors; currently serving on the boards of Deere & Company, Wintrust Financial Corporation, OGE Energy Corp., Chicago’s Northwestern Memorial Hospital Foundation, The Chicago Network, the Chicago Shakespeare Theater, the Chicago Urban League and Sysco Corporation. She served for 10 years on the board of the Rensselaer Polytechnic Institute, and for five years at Acco Brand Corporation. She was a founding member and chairperson of the Information Technology Senior Management Forum, where she continues to serve on their advisory board. She also served on the Advisory Committee to the Board Selection Committee for Agenda, a Financial Times Company. You can follow her Twitter, @GrayMatterCEO.